FOLLOWING in the tyre prints of BMW's X1 and the Audi Q2, Japanese luxury carmaker Lexus has revealed its plan for a compact crossover. The Lexus UX urban compact crossover will be officially revealed at next week's Geneva Motor Show. 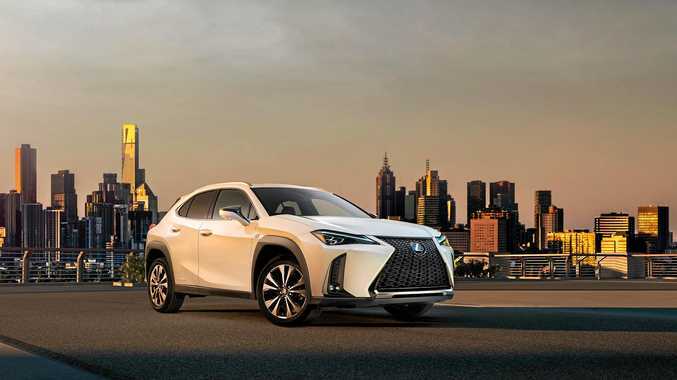 Lexus says the "bold and stylish design that features powerful bodywork, aggressive rear shoulders and muscular wheel arches that contrast with a sleek, compact cabin profile and a high beltline”. It sits on an all-new platform which the carmaker says offers exceptional body rigidity and a low centre of gravity for the agile handling of a hatchback. "The scene inside the cabin combines a highly focused driver's cockpit, a wide and inviting passenger space and a commanding view of the road,” a Lexus statement says.